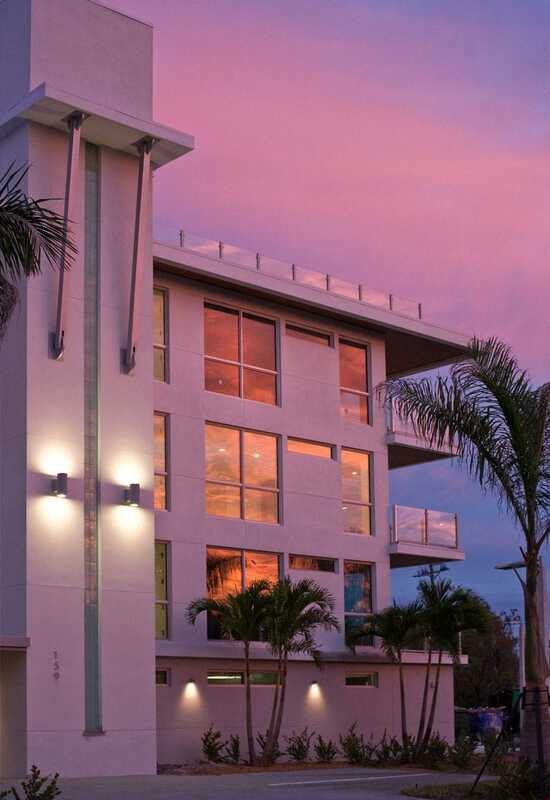 A coastal contemporary multi-unit condominium project located in Sarasota, Florida, on Lido Key, within walking distance of Sarasota Bay and the Gulf of Mexico. Client Name: Seaward Development, LLC. 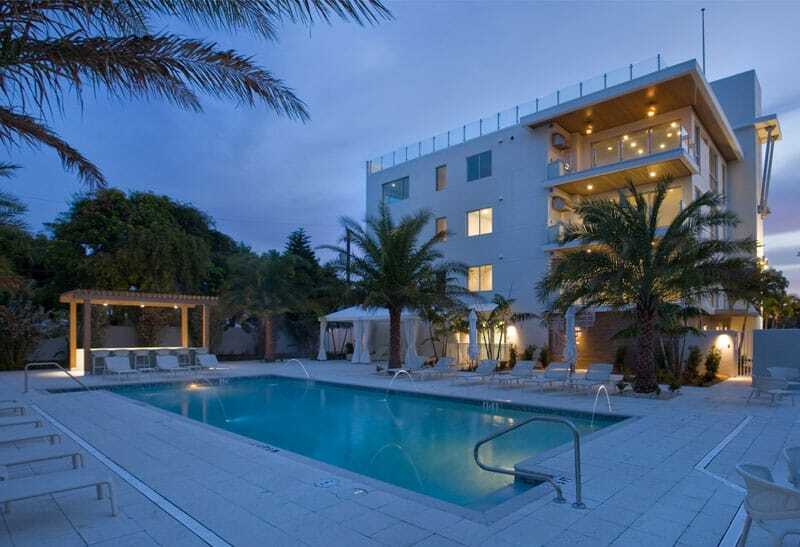 This prestigious project, Park Residences, is a limited edition, multi-family luxury condominium project located on Lido Key in Southwest Florida. Gilbane provided construction management at-risk services for the new 87,000 SF, 18-unit residential project. 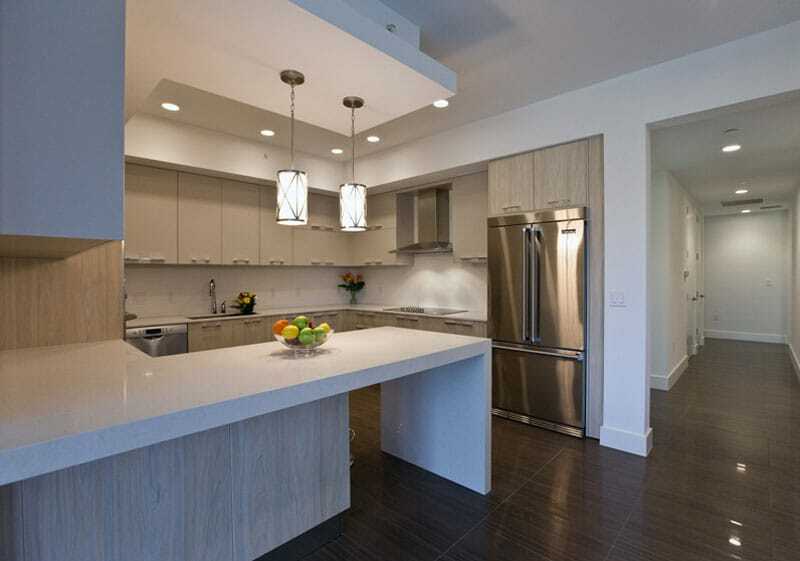 Each unit contains spacious, three-bedroom, three-bath open floor plans. Some of the features include Italian cabinetry and flooring, quartz countertops, high-end plumbing fixtures, built-in balcony BBQ grills, and Viking appliances. Parking is situated along with tropical landscaping and resort-style common area pool, cabanas, BBQ grilling area, and fire pit. The six penthouse units also include 3,000 SF finished roof terraces. The project incorporated eco-friendly materials and a low-density and low-impact philosophy into the design and construction. The four-story post-tension concrete structure offers views of the Gulf of Mexico and Sarasota Bay. The project was designed by award-winning DSDG Architects. The preconstruction team added value to the owner by providing multiple estimates to address price escalations and were able to overcome market price increases during the GMP development. The project team was able to stay on track to meet the owner’s required budget.